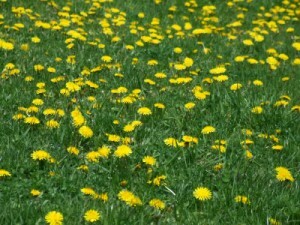 Hire GRASS MASTER TODAY and say goodbye to those unsightly weeds tomorrow!! There is nothing more unsightly than a yard full of weeds! At Grass Master Lawn Care & Grounds Control we understand how much you care about your yard and how much pride you take in your property. We also understand how much time, hard work, and knowledge of proper product is required to achieve and maintain that picture perfect yard! 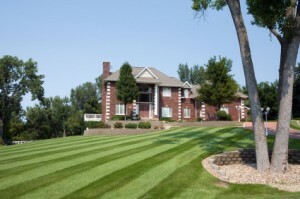 Grass Master Lawn Care utilizes the most current industry leading trends and techniques, along with ONLY the highest quality commercial grade Lesco brand products, to ensure that we keep your Hudson and River Falls yard looking its best and free of those undesired weeds!! From basic weed trimming to professional chemical weed control, Grass Master of Hudson, River Falls will customize an affordable plan to decease those weeds! Spring Pre-emergent: Catch those weeds before they even sprout up! By applying quality pre-emergent herbicide, along with a quality fertilizer, your lawn gets the start it needs to be beautiful and pleasing all season long! Nothing looks nicer than a manicured, weed free lawn!! Hire GRASS MASTER to ensure your lawn looks its best all season long! Mid – Late Spring: Weeds are persistant! An additional treatment in mid to late spring will ensure that resilant, late sprouting weeds will not gain a strong hold in your lawn going into summer. Summer Turf Building and Weed Control: During mid summer; grass and weeds alike reach their peak growth rates! A mid summer treatment of fertilizer and herbicide will support continued healthy growth for that desired lush lawn as well as knock out and continue to protect your lawn from those pesky weeds! Early Fall Weed n’ Feed: With adequate watering, your lawn will still be actively growing in early fall and any germinating weeds from the summer will have a chance to take hold! An early fall weed n’ feed will add nutrients to your lawn and stop late-sprouting weeds in their tracks! Late Fall Fertilization: This is the most important fertilization of the season! Preparing your lawn with the nutrients it needs going into winter will ensure that your lawn will wake up in the spring with strong, healthy roots and be ready for a vigorous growing season! Not every lawn requires five fertilizer and herbicide applications. Likewise, not every lawn and soil type requires the same fertilizer mix and application rate. Only a professional lawn care company has the experience and expertise to select the proper combination of applications best suited to meet your individual lawn needs. You can rely on qualified Grass Master Lawn Care & Grounds Control experts to select the ideal program that will produce and maintain that healthy, luxurious and beautiful lawn you have always wanted! Grass Master Lawn Care & Grounds Control LLC. is dedicated to outstanding customer satisfaction! We achieve this by delivering an outstanding product through utilizing leading industry practices with top quality products and materials. Don’t settle for less than you deserve! Grass Master; the MASTER on ALL Grounds!! WI Website Design by Great Lakes Media.